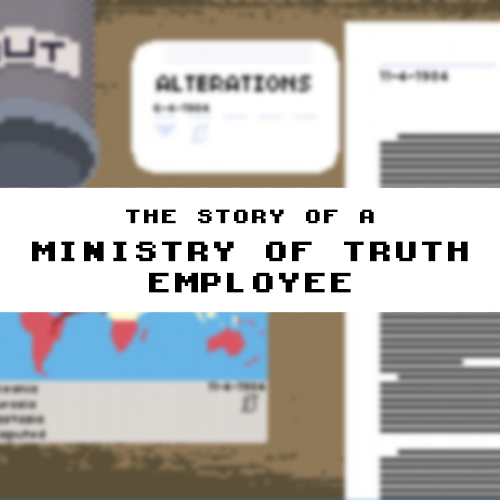 Delve into the Orwellian world of 1984 as an employee in the Ministry of Truth. The game combines the expansive backstory of the best novel ever created, 1984 and the awesome gameplay of Papers Please in one ultimate game. This was a compo made for Ludum Dare 37 so maybe don’t expect quite that much. Everyone knows you’re real. Only a real person could be so cruel as to ask writers to pick only one favorite book in their Wenadsedy blog post. Also I’m a dickbot.